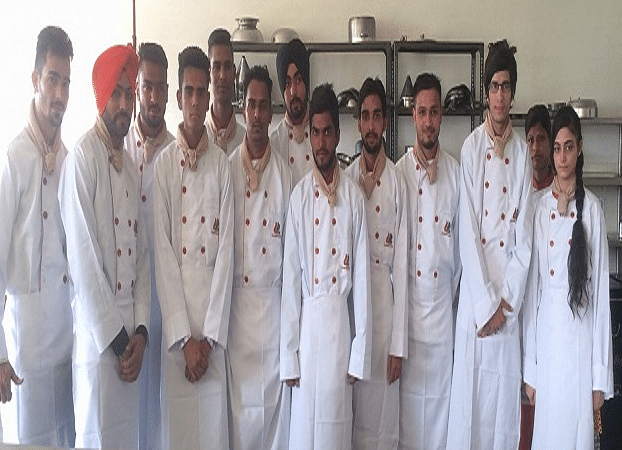 CT Institute of Hotel Management and Catering Technology, Jalandhar, Punjab was the first initiative in the Doaba region intended to train the young men and women for career in the hospitality industry. 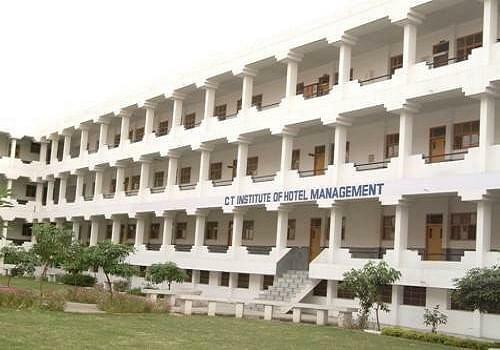 The institute lays stress not only on the academic excellence but on all over development of the personality; which helps the person to come up at par with the expectations of the hospitality industry. 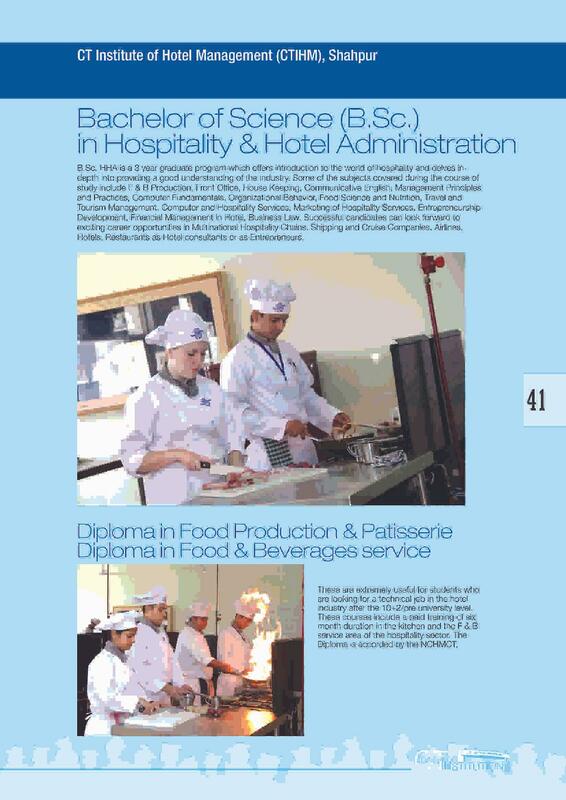 Institute is proud of its high academic results and 100% job placement since the past five years. 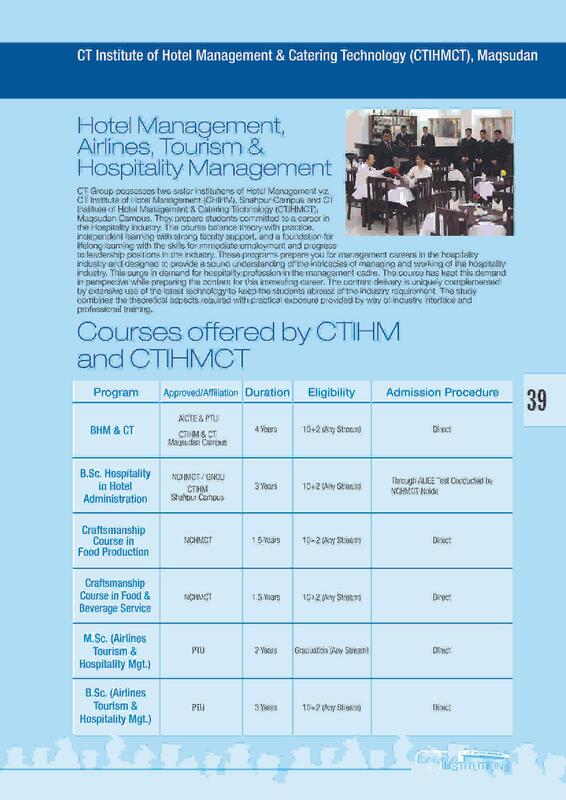 The institute targets at preparing the professional who are perfect in every respect and are able to secure a fulfilling career in the hotel industry. For this purpose the institute provides the budding professionals with necessary facilities, infrastructure, practical training. 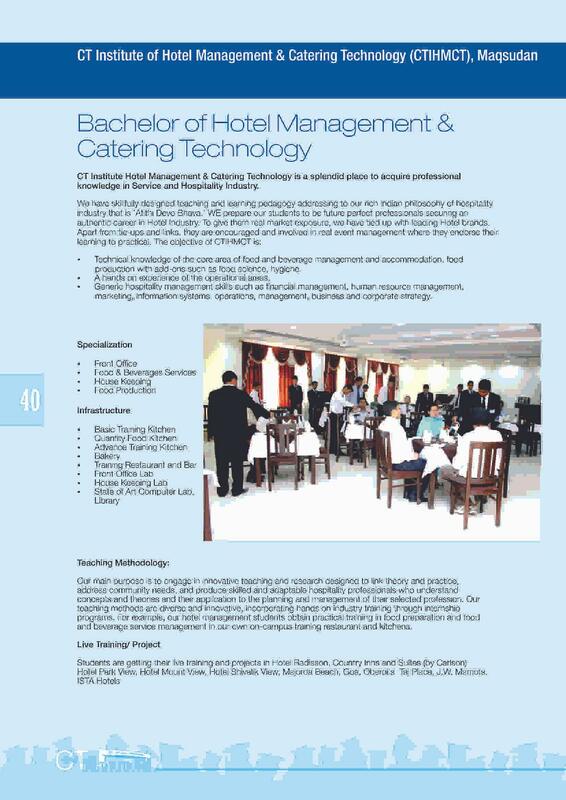 Practical training: In order to give real life market scenario, the institute has tie up with leading hotel brands. Besides this, the students are motivated to participate in real event management which helps them to endorse the learnt concepts to practical. 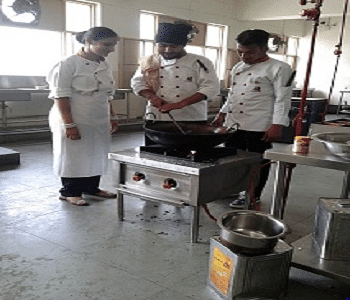 The practical training in the labs includes Basic Training Kitchen, Restaurant, Bar, Food Production, Quantity Food Kitchen, Food & Beverage Services, Front Office, Advanced Training Kitchen and House Keeping; with a purpose to give training in practical aspects of hospitality. 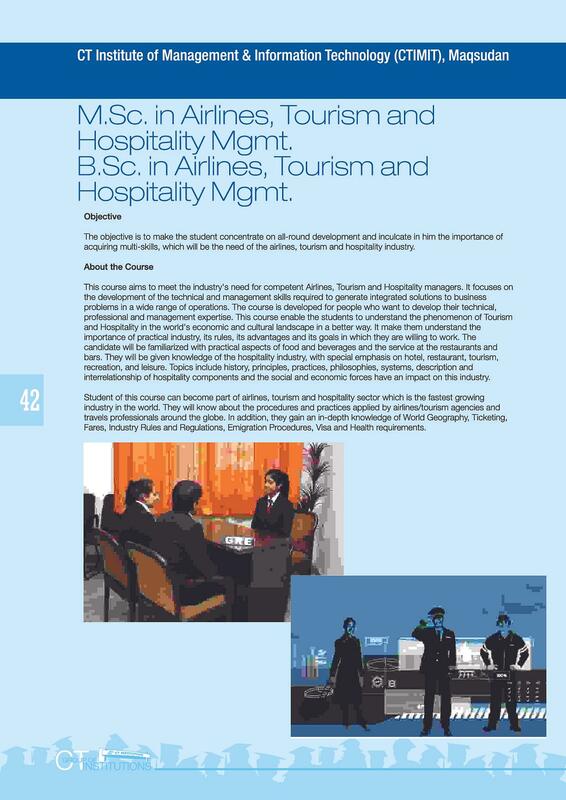 Excellent infrastructure and facilities: The provision of the infrastructure and facilities ensure the potentials of the aspiring hotel professionals to inculcate in the core of hospitality. Library provides resources for expanding the avenues of the pupils’ knowledge. The well equipped computer lab with internet facility and Wi-Fi campus enables the students to become tech-savvy; for smartly handling the dynamic corporate world. Assured placement facility: The prestigious institute is proud of its hundred percent placements since last five years with the leading hotels such as ITC Maratha McDonalds, Old World Hospitality, Radisson and several other five star hotels.